Candy Torres is an explorer and public speaker who has worked in various areas of the space industry. She was part of an astrophysical satellite team at Princeton University, and the Space Transportation System (STS) and International Space Station (ISS) programs at NASA-Johnson Space Center. Torres loves all types of flight with experience flight in a variety of forms: a hot air balloon, a Breezy, hang-gliding, the Goodyear blimp, a helicopter, indoor skydiving, and a World War II bomber. In addition to aviation and space arenas, she created a mural for a Museum of Fine Arts - Houston project. She enjoys photography with thousands of images of historic events. She also was a competitive fencer nationally and one international competition. She has three college degrees plus graduate credit from a Mexican technology institute. Torres is of Puerto Rican heritage. Her parents were born on the island and grew up in Harlem during the Great Depression. The stories of their childhood struggles in poverty and their success in working their way out of it had a strong affect on her. She was born in Manhattan with her early years in a Bronx housing project. She grew up in South River, New Jersey, where the undeveloped edges of the small town was her playground. Her parents provided many opportunities for personal growth and emphasized education. The family drove to Rhinebeck Aerodrome in its very early years to see World War I aircraft in flight. As a child her dream was to become an astronaut, even though it was still the early days of human space flight and more than ten years before women would be astronauts. She joined Civil Air Patrol (CAP) as a teenager so she could get an aerospace education, learn military protocol, and practice survival techniques. She learned how to fly CAP’s Piper Cub before she learned to drive a car. Torres attended Douglass College at Rutgers University, where she chose the Individual Major option to select courses related to space science. It gave her a breadth of knowledge that helped her land a job quickly. Her first job was in the Orbiting Astronomical Observatory satellite project (OAO-3C) in the Astrophysics Department at Princeton University. 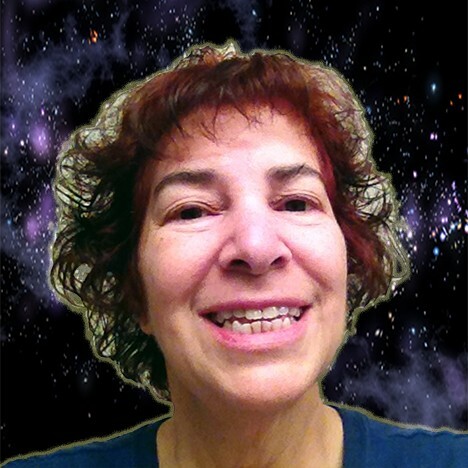 She was in the space industry working with world-class astrophysicists from around the world. Dr. Lyman Spitzer was the Chairman of the Astrophysics Department who, later, became known as the Father of the Hubble Space Telescope. While working at Princeton, Torres earned her pilot’s license. She enjoyed the thrill of being in control of a machine that gave her a beautiful view of her world. She took aerial photographs of New Jersey and up the Hudson corridor. She took a few aerobatics lessons to become more comfortable with airplane dynamics. When women were first allowed to apply to become astronauts, Torres submitted her application even though she knew she was too short and too near-sighted to go far in the review process. Torres drove to Florida to witness first-hand two space shuttle launches: the very first shuttle mission (STS-1) in 1981 and the first U.S. female astronaut, Sally Ride (STS-7) in 1983. She was still working at Princeton when she recruited a handful of space-enthused students to produce and direct a cable television show in her hometown. Her STS-7 video was just one of 9 episodes aired before a new opportunity appeared in her dream of space. In 1984 Torres moved to Houston to work at the NASA-Johnson Space Center (NASA-JSC). Her team was responsible for upgrading the Mission Control Center (MCC) from manually tracing long printed diagrams to computer software for space shuttle flight controllers. Years later, she was responsible for uplinking documentation from the MCC to up to the (ISS) astronauts and cosmonauts. Over the years, Torres met astronauts from every U.S. space program: Mercury, Gemini, Apollo, Apollo-Soyuz, STS, and ISS. Although she never became an astronaut, she was an active participant in space history. One of her activities outside work was in the historic Shuttle Amateur Radio Experiment (SAREX) – the first two-way video link between the NASA-JSC and the space shuttle. She used her programming skills to upgrade the ground station antenna software to track the Space Shuttle – STS-51F. Torres finds many ways to spread her dream of space exploration. She presented her paper on space operations for the 2005 World Space Congress. She wrote and presented an academic paper at the 100 Year Star Ship Public Symposium 2013 (100YSS) stressing the need to address women’s issues. The organization’s goal is to prepare humanity for interstellar space travel within a century. In 2014 she participated in the Hispanic Innovators in Aviation and Space program held at the National Air and Space Museum sponsored by the Smithsonian Latino Center. Torres has been nominated to the 100 Puerto Ricans Campaign by Hunter College in New York City. Currently, her personal and family stories, photographs, and artifacts are being collected and archived by the University of Houston for an historic collection. Hunter College and the NASA-JSC archives at the University of Houston - Clear Lake library have requested digitized material for their collections. She was interviewed for two NPR radio station programs in 2014 as well as a STEMWomen live international conversation via Skype. In 2015 Scholastic contacted her to include her story for their Math 180 2015 educational publication. Candy Torres has devoted her life to going as far as she can in her life -- ad astra -- and then share her experiences with others. Even as a child she knew she wanted to reach back and help others achieve their dreams. It is vital that women and minorities are encouraged to pursue STEM careers. Even though she was not able to become as astronaut, she has been a pioneer in three major space exploration programs. She has learned many hard lessons about dreaming big and overcoming obstacles, which can be valuable and enjoyable for students and experienced professionals. Find out more about Candy Torres at http://technorican.wordpress.com.